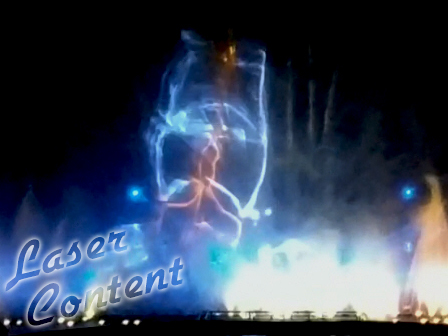 Need a show, animation or laser content created for an event, or a project that requires custom programming?. In addition to the media we make and sell in the MAXFRAMES and MAXSHOWS packages, We produce custom digital content for professional laser companies and Event Specialists using the latest Pangolin, Adobe, and AutoDesk programs, We use Resolume and Beyond for Live Performances.. Send us an e-mail with a brief outline sound track and storyboard. Or simply explain your concept and we will come up with a solution With our vast library of computer graphics and laser content we can have a draft copy of the show for your perusal in a short time.